This link will take you to the interactive discography of Denny’s recordings. Should you come across any that I have missed, please let me know. 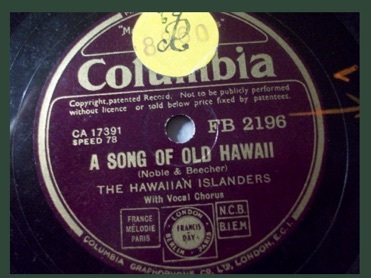 Indeed, one recent eagle eyed visitor did just that - see ‘Song Of Old Hawaii’ below. Many thanks. A new one to me. Discograpy.htm The discography can be downloaded and accessed - But I cannot update the format on a mac. It was developed in an earlier format. Right click the link to download, left click to access. Also, see further additions below. Add Denny’s recordings with the ‘Squadronnaires’. Listen to Denny singing ‘Temptation’ - from my 78 recording. During the war years, Denny made several recordings for the ORBS - The Overseas Recorded Broadcasting Service, which was part of ENSA. Further titles have turned up and are listed here. A few of the titles were made available by Denny himself and have been released by the Denny Dennis Music Society. Sadly, these very rare releases are no longer available. 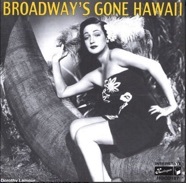 This record was made with the Hawaiian Islanders. This group was led by Peter Hodgkinson. You can read about them in the news article from Radio Pictorial (17th July 1936) on the right. They were active from 1933 - 1939, when the call up for the War brought an end to the group. It’s an odd recording in that at this time, Denny was recording for Ambrose on Decca and making solo recordings on the REX label. Quite what Denny was doing making this one off recording on the Columbia label is a mystery. This is the only recording Denny made with this group. 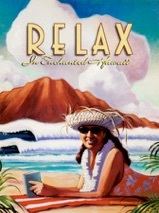 Naturally, it suits Denny’s style, and he recorded several very good Hawaiian style recordings with the Roy Fox Orchestra. Notice, the record label states ‘with vocal chorus’. Strange that Denny should not be mentioned by name given his fame at this point. Denny does not feature on the B side of the 78. 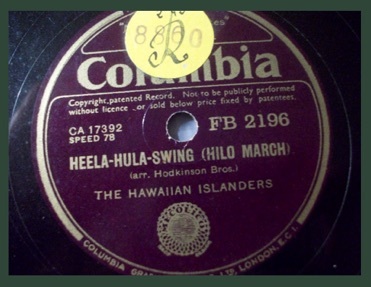 The B side was a number entitled ‘Heela Hula Swing’. The recording is available on two CDs that feature as mp3 downloads on the internet. See below right. 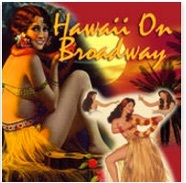 I do not have the 78 of ‘Song Of Old Hawaii’, but here is another of the ORBS recordings of Denny in Hawaiian style. 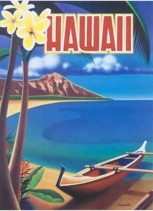 Here he is with the Coral Islanders singing ‘In A Little Rendevous In Honolulu’. Listen to Denny singing ‘Love In Bloom’, one of the ORBS recordings. Left click to play - right click to download. Add another Roy Fox recording to the discography. 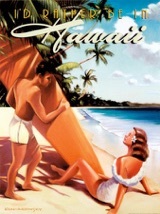 ‘Honolulu Bay’ was released on Decca F-5576. Add - Further BBC recordings with the ‘Skyrockets’. To my knowledge these recordings have not seen a re-issue. I am not even sure that they exist anymore. They may be held within the BBC Gramophone Library. BBC Disc No. SLO 72058 - Services Dance Band Session - pre recorded at Queensbury All Services Club, Soho, London 2 April 1945 - featuring The RAF Skyrockets Dance Band, directed by Cpl. Paul Fenoulet with Cpl. Denny Dennis & Guest Star ‘Big’ Bill Campbell - Denny sings, ‘I’ll Be Seeing You’. BBC Disc No. SLO 74696 - Services Dance Band Session - pre-recorded at BBC studios London, 22 May 1945 - featuring The RAF Skyrockets Dance Orchestra cond., Cpl. Paul Fenoulet with Cpl. Denny Dennis and WAAF, Doreen Lunday - Denny sings choruses to, ‘There Goes That Song Again’, ‘Would You Like to Swing on a Star’. BBC Disc No. SLO 75336 - Canada Guest Show - pre-recorded at the Paris Cinema, Lower Regent Street, London 13 June 1945 - featuring Captain Robert Farnon & the Canadian Band of the AEF - Guest stars, Denny Dennis, Julie Dawn - Denny sings choruses to - ‘A Kiss in the Night’, You’re so Sweet to Remember’.